Have you got a question about our products or services? Have a look through our Questions and Answers below and see if this helps you out. If the answer’s not obvious you can ask us your own question, using the Ask us a question button at the bottom of the page. Our main suppliers are based in the UK, Holland and Germany. You will see on the product details page whether the item is supplied by the Youngman Group, Titan Ladders, Artilan b.v. or Hymer Ladders. Delivery depends on which product you choose. Titan products are delivered in 2 working days if you order by 11am. Youngman products are delivered within 5 working days. Delivery times are subject to stock. Custom made products such as the Triangular Bridging System are usually delivered within 3 weeks of order. Express delivery or delivery to off shore UK – just give us a call to arrange. How deep are the boards - Youngmanboards / Triangular BridgingSystem? Hi, thanks for your question. Superboards are 600mm, Youngman boards 450mm. Triangular Bridging System 600mm, also available as 900mm when custom made. Hope this helps. Just give us a call on 01494 582 051 or email us at Sterk Systems and one of our team will be glad to help! Yes we can deliver on Saturdays. 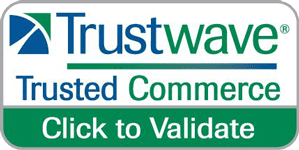 The courier used depends on which item you have ordered so give us a call on 0845 2570235 and we can check for you. No, there is no additional charge for payments made by debit card at this time. Will I get an E-mail regarding my delivery? Yes, you will receive an order confirmation by email. Do you despatch on Saturdays and Sundays? We despatch on working days only (Monday – Friday excl. Bank Holidays). Uneven ground - do you have a solution? Yes, our Universal Ladder Stabiliser compensates for up to 35cm difference in height. 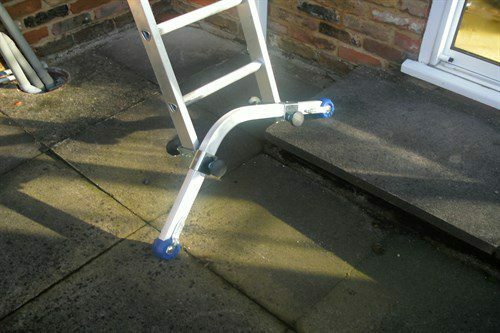 It fits Trade and DIY ladders and is especially designed for working outside on patio steps. According to the HSE how long can you work from a ladder? The HSE advise you can work for up to 30 minutes at a time from a ladder. You should also always have 3 points of contact between you and the ladder. What angle should my ladder be? Ladders should be at 75º to the wall. Do you need to secure the ladder to the wall? We recommend that your ladder is either secured or the base is held by someone. When can I use a ladder instead of scaffolding? Ladders are basically a method of access/egress and need to just be made use of as working platforms, for really brief period tasks, where alternative platforms would be impracticable, and where such jobs can be carried out securely making use of a ladder. Do the new Work at Height Regulations in 2005 ban the use of ladders? The Work at Height Regulations 2005 do not ban ladders. They require that ladders should only be considered where a risk assessment has shown that the use of other more suitable work equipment is not appropriate because of the low risk, and short duration of the task or considerations of where the work is located. HSC accepts the practicalities of the use of ladders for work at height, and the fact that they are commonly used in a wide variety of situations. Ladders are used in almost all employment sectors, sometimes for purposes other than those for which they were designed. How high does my ladder need to be if I’m working on a platform? Ladders need to extend a minimum of one metre beyond working platforms to permit safe access. What do I need to do to look after my ladder? Ladders should not be painted (this hides problems). Keep wooden ladders undercover. Inspect all ladders regularly for any damge. How do I know if my ladder is safe to use? Never just assume your ladder is safe. Always visually check your ladder before using it. Report any problems immediately. Never ever make use of a homemade ladder! What sort of ladder do I need if I’m working on site? Domestic ladders are not permitted on site. Commercial/Industrial rated ladders should be the ladders used on site, ranked to either 120kg or 150kg. Can I hold the ladder with just one hand sometimes? Constantly keep 3 points of contact! That is, two feet and one hand, or two hands and one foot. What safety precautions should I take when deciding where to put my ladder? Always make sure your ladder has a firm base and if the ground is soft use a safe support. Think about staking and/or blocking at the bottom. Or better still, invest in a Ladder Stabiliser. Can I use my ladder as a support for my scaffold board? Never ever make use of rungs as a support for planks or boards, or rest rungs on planks to extend your work platform. Do my shoes really make a difference when I’m working on a ladder? Yes, wear sensible shoes, preferably work boots and keep the soles clean. Get rid of extreme mud, grease and so on from shoes prior to climbing/descending a ladder to make sure you have the best grip. What’s the safest way to climb a ladder? Constantly make use of both hands when climbing or descending your ladder, and make sure you always face the ladder. What can I carry up a ladder? Do not carry loads up a ladder – use hoists, winch or an alternative approach. Is it really that dangerous to lean out from a ladder? Never ever over reach from ladders – come down and move the ladder. What sort of ladder should I use on a metal surface? Avoid making use of metal ladders against metal surface areas – the minimised rubbing makes them more responsible to slipping. We recommend a GRP or fibreglass ladder when working on metal, even if there is obvious risk from electricity. Anything else I should check before setting up my ladder? Be careful of overhead obstructions, especially overhead power lines (work at least 4 metres away from live cables).. Exactly what are some things you should think about prior to using a ladder? Ask yourself these questions: Is the ladder the right type for the job? Is the ground soft or uneven? Is my ladder too near overhead dangers (particularly power lines)? Also, is the ladder safe (check for defects and if you discover any report them right away). Are your shoes clean? Excess mud or grease might make you slip. What is the safest way to use a ladder? Ladders must be used at the correct angle (1 unit out for every 4 units up) and suitably secured; preferably tied off at the top utilising both stiles to prevent both sideways slip and rotation. Can the system be used on uneven ground? Yes, the supports are adjustable and can be placed at different heights to compensate for uneven ground. If the ground is soft you can place a plank underneath the support for better stability. We also supply Fine Adjustment Feet to compensate for uneven ground. How do I use the system to maintain first floor windows over a conservatory? First assemble the bridge sections to the required length and secure them together with the supplied nuts and bolts. Next adjust the supports to the required height and place them in position, one on either side of the conservatory. Lift the bridge over the conservatory, depending on the design this can be achieved safely between two or three people. Hook the bridge into place and fit the floor boards and handrails from the sides. Alternatively assemble the system between mobile scaffold towers at the front of the conservatory and roll the whole system over the conservatory. Secure the mobile towers once in place. How many people can stand on a triangular bridge? The maximum weight per bridge is 600kg. The maximum point load is 150kg per square metre. Can I hang the system between mobile scaffold towers? Yes, the system can be combined with any scaffold tower where the diameter of the scaffold pole is 50mm or less. The maximum floor height when using the system with two supports is 7 metres. If you use the bridge units between mobile towers you can go higher. Can you get a wider platform? Yes, the standard floorboard width is 600mm and you can also have floor boards which are 900mm wide. Can I have handrails on both sides? Yes, deliveries to the UK are designed so that hand rails can be fitted to both sides of the bridge where needed. How far off the wall can I have the system? The distance of the system from the wall is determined by the standoffs. These come in various sizes from 350mm to 1500mm. The distance from the wall can therefore be anything between these two sizes. What stops it falling down? The supports form a triangle against the wall and the ground, giving the system its strength. In addition the bridge sits part way down the supports evenly distributing the weight over the triangle. What are the advantages compared to other work platforms? The Triangular Bridge System provides a span from 2 – 12 metres between two supports. The bridge between the supports gives a continuous platform with no changes in level which can be trip hazards. Its light weight: one bridge section of 4 metres weighs just 16kgs. The Triangular Bridge System has a fully boarded work platform. Toeboards are integral to the handrails. You can create an uninterrupted span of 17 metres between mobile towers. The system can be made to order. Our lightweight synthetic floor boards last up to 10 years. A 12 metre bridge can be fully assembled in 15 minutes. The system is simple to use and does not require outside professionals for it to be assembled and dismantled. Does it need to be attached to the wall? Only in high winds or when using the Weather Protection System. How do you lift the bridge to 7 metres? When using the system without a winch, place two ladders against the wall, one on the outside of each support. Assemble the bridge to the required length at ground level. Two people climb the ladders carrying the bridge between them and click the bridge into place. Ensure that the there is always three points of contact between the person climbing the ladder and the ladder itself (two feet and one hand, as recommended by the HSE). Does it go round corners? Yes. For external corners you can use 4 supports, two on each wall. The bridge on one side should overhang the edge of the wall. The bridge on the other side can then be placed flush with the first bridge. For internal corners we can supply a special hand rail that will allow access from one system to the next. How easy is it to maintain? Our scaffolding is manufactured from aluminium so there is no problem with rust. The all-round welding ensures no crevice corrosion. If the edges of the floor boards become damaged they should be sanded down and re-protected with a coat of varnish. Alternatively by using our synthetic floor boards you can avoid this. Smaller working parts such as the spring loaded security pins and the winch should be oiled as needed. We recommend you check your system regularly to ensure it is always in top working order. Can you get the parts individually? Yes. Any additional or replacement parts can be delivered to you on request. I’ve got 4 metres can I add extra bridge lengths? Yes. All bridge lengths are compatible – you can combine 2m, 3m and 4m lengths to a maximum of 12metres between supports and up to 17 metres between mobile towers. Can I attach 3x 12 metre bridges to each other? Yes, you can create a continuous platform. Just make sure that you have two supports for every 12 metres of bridge. How soon can it be delivered? Delivery time is usually 3 weeks from order. What kind of transportation do I need? A 10 metre system can be transported in a Mercedes Vito van, with floor boards and 2 metre bridge sections etc inside and longer bridge sections and supports on the roof. For more than one system we would recommend a long wheel base van or a trailer. How long does it take to attach hand rails and toeboards? Handrails always have integral toeboards – it takes seconds to fit a handrail and fix it in place with the spring loaded security pins. What if I can’t lean the legs against the wall? If, for example, the wall is uneven or has damaged plasterwork you can use the bridge between mobile scaffold towers instead. Can I use the system in bad weather? Yes, the system has a purpose built Weather Protection System which will protect you and your work from the rain. Remember to attach the system to the wall with an eye bolt and strap when using the Weather Protection system. IMPORTANT: The Weather Protection System must not be used if winds are Beaufort 6 or above. Bridge units are available in 2, 3 or 4 metre sections. The bridge units can be linked together to create your required length. For example a 5m span can be made of a 2m and 3m unit. Minimum span is 2m, max is 12m between supports or 17m between mobile scaffold towers. Do you hire the system out and if so how much for a 5m bridge? Currently we do not hire out the Triangular Bridging System. We can arrange trial periods on site and demo days though. Please call us to arrange. Can it be assembled and raised by one person ? You can assemble a small system on your own if you are using the winch system, however you would have to walk from one support to the other and winch each side up in turn. It is best and safest to assemble the system with two people. Does all our mobile scaffolding meet UK safety regulations? Yes, all our mobile scaffolding meets UK safety regulations. All our scaffolding conforms to British Standard BS1139: Part 3 – 1994 (HD 1004). Most of our products also conform to European Safety regulations EN1004. Do you need to secure mobile scaffold towers to the wall? Ideally mobile scaffold towers should be secured to the wall. Always make sure you use stabilisers for towers above 2metres.